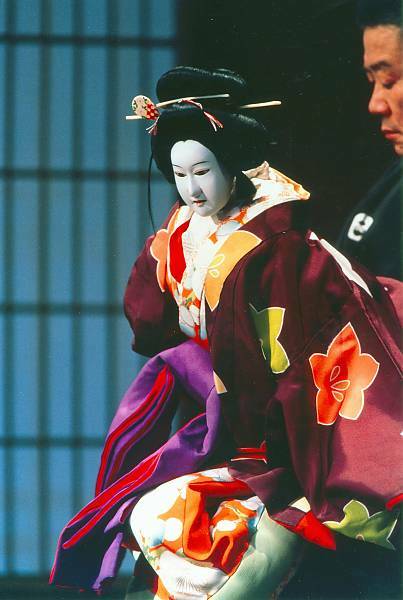 Ranking with Nô and Kabuki as one of Japan’s foremost stage arts, the Ningyo Johruri Bunraku puppet theatre is a blend of sung narrative, instrumental accompaniment and puppet drama. 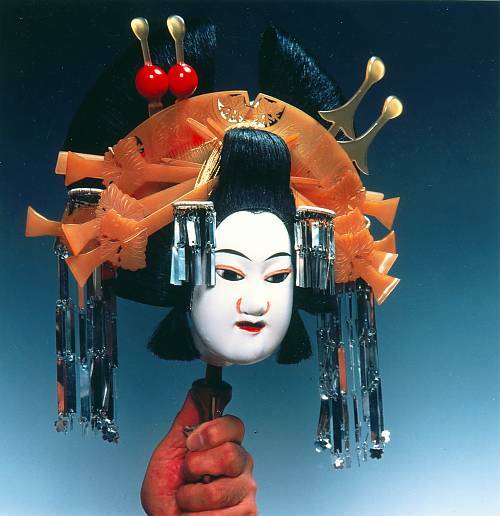 This theatrical form emerged during the early Edo period (ca. 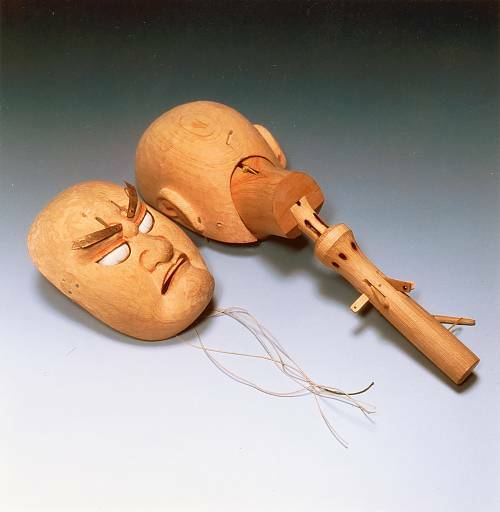 1600) when puppetry was coupled with Johruri, a popular fifteenth-century narrative genre. 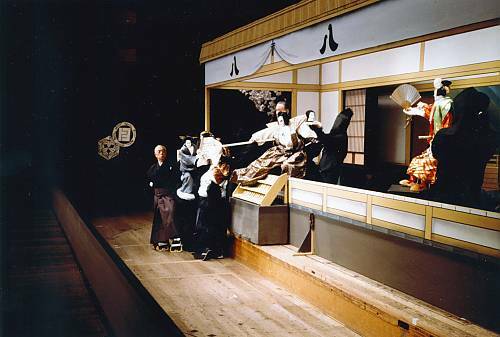 The plots related in this new form of puppet theatre derived from two principal sources: historical plays set in feudal times (Jidaimono) and contemporary dramas exploring the conflict between affairs of the heart and social obligation (Sewamono). 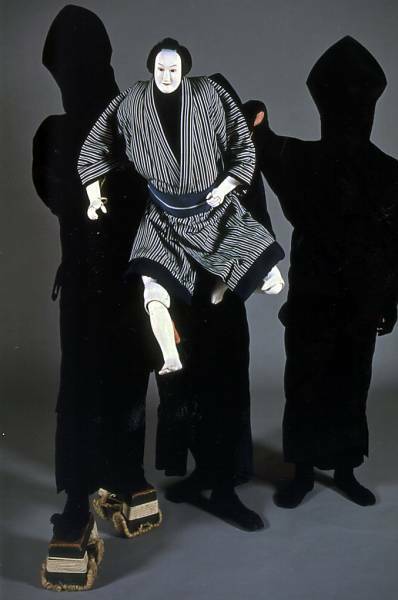 The three puppeteers must carefully co-ordinate their movements to ensure that the puppet’s gestures and attitudes appear realistic. The puppets, replete with elaborate costumes and individualized facial expressions, are handcrafted by master puppet makers. 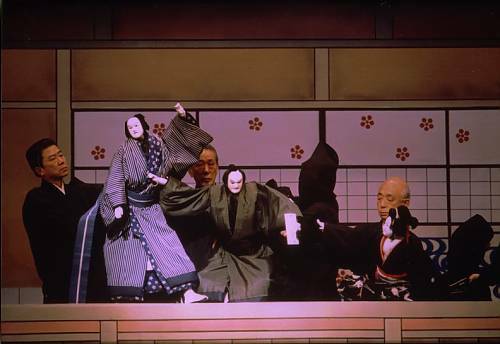 The genre acquired its present full name Ningyo Johruri Bunraku – in the late nineteenth century, a period in which the Bunrakuza was a leading theatre. 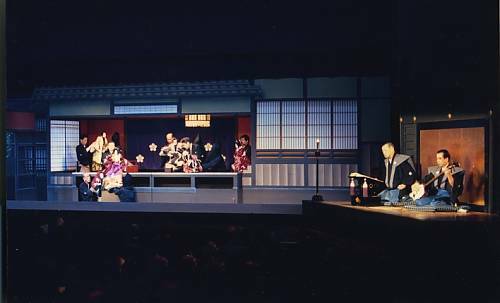 Today, the pre-eminent venue is the National Bunraku Theatre in Osaka, but its highly reputed troupe also performs in Tokyo and regional theatres. 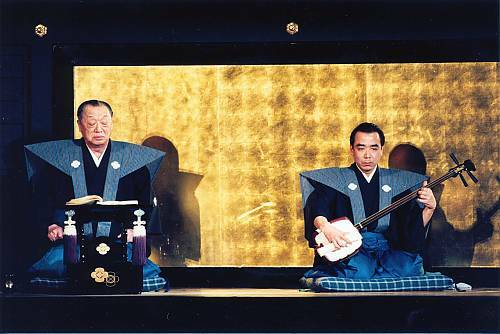 Approximately 160 works out of the 700 plays written during the Edo period have remained in today’s repertory. Performances, once lasting the entire day, have been shortened from the original six to two or three acts. 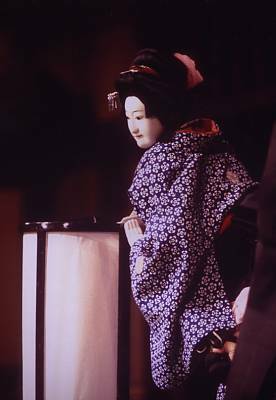 Ningyo Johruri Bunraku was designated Important Intangible Cultural Property in 1955. Nowadays, it attracts numerous young performers, and the aesthetic qualities and dramatic content of the plays continue to appeal to modern audiences.